Sophia, a determined young woman, has rented a house in the middle of nowhere. Grieving, she hires occultist Joseph Solomon to perform a dangerous ritual that will allow her to contact her late son. Confined to their remote house, Sophia and Solomon prepare meticulously. Solomon warns her that the consequences of the ritual will be deadly if the detailed instructions are not followed. It soon becomes clear that Sophia has not been entirely honest, triggering a chain of events that threatens to blur the boundaries between this world and the next. An unusual and frightening story of black magic by first time feature filmmaker Liam Gavin. A DARK SONG is Liam Gavin's first feature film. He has previously directed the shorts JERICHO, SUNSHOWER, SHOOTING BLANKS, and DAY OF RECKONING. "Black magic rituals have long been a regular fixture in horror movies, but few have tackled the subject with quite the same level of forensic detail as A DARK SONG." 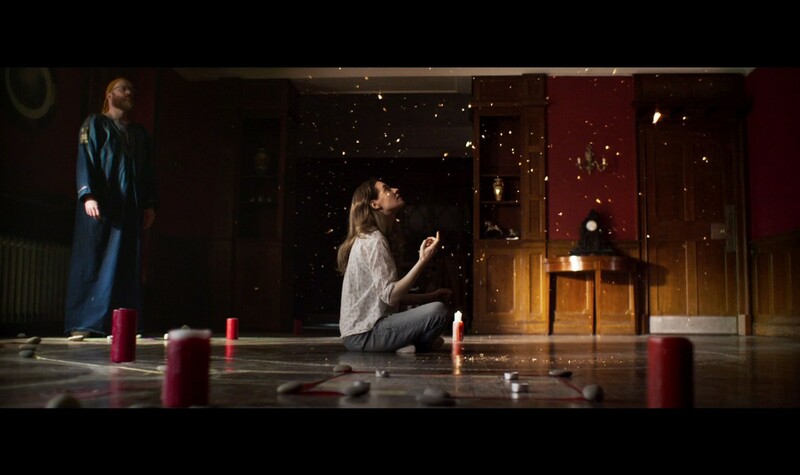 "A DARK SONG makes occult magic scary (and human) again."